Grab﻿﻿﻿﻿ ﻿﻿﻿﻿﻿﻿Focus﻿﻿﻿﻿﻿﻿. Engage Them. Inform Them! 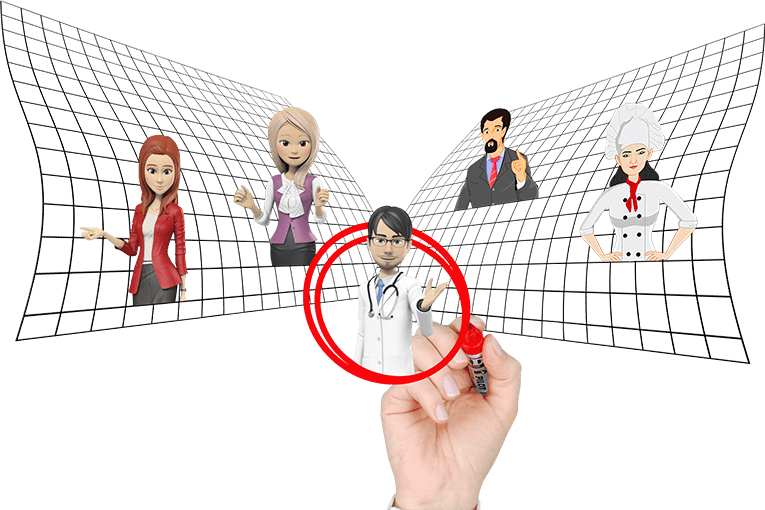 Live Video Actors Presenting Your Products and Services Leaving Your Audience Captivated! Now You Can Tap Into A Proven Way To Increase Sales Conversions Without Relying On Overlays and Popups. Stop relying on these out-dated methods. When a new visitor lands on your website, you have a few seconds to capture the attention of your audience. During these micro moments you need to educate them on your products and services. Our live video actor takes care of that for you, giving a unique feel about your website! When your video actor speaks, they provide visitors that feeling that they speak directly to them. This solidifies your message to your visitor and enforces a strong call to action from the live actor. Your visitors will not expect a live video actor to welcome them, and be providing the best pages and products for them as they arrive onsite. This will have them engaged in what your video actor is saying and prompting them to do. Using this revolutionary technology, you can own your market With competitors not even close to you. Leverage cloud-based multimedia automation software, boost engagement and make sales! Watch your visitor engagement soar through the roof with this easy to set up and use software using our custom video guides. STAND OUT IN A CROWDED MARKETPLACE! Using semi automated software that creates and controls the movement and speech of stunning Human, 2D, 3D talking moving video avatars, you can provide a truly unique website browsing experience like no other. If your audience remembers you they won't remember your competitors. In today's market, getting leads, sales & subscribers has become increasingly difficult every day. People have an overload of information, or are being distracted by social media. Breaking through to this audience is a challenge unless you can stand out. What if you could capture more leads and make more sales by using a software? This simple to use and easy to integrate software converts leads into sales, and visitors into subscribers! Wouldn't you want to be a part of this community that is utilising this revolutionary software for their own advantage? Of course you do! Our software allows for your website to have a digital tour guide that walks people through how to use your website and moves them closer to your sales offers and services pages. Take control of your online audience. Sign up NOW. This blew my mind, having my own custom video web presenter on my own website. I was like wow it works. Bounce rates went down and sales went up. Very happy with this software game changer. Not only is this piece of technology innovating, but I can create multiple versions to split test the best one. I can see conversions soaring and this web presenter product just doesn’t disappoint! Still have questions about our services? Is it compatible for use on Mac or Windows? Works on both Mac and Windows and is cloud based so it works from your browser. No downloads, completely web-based. Will this work on mobile phones? Web Presenter will work on mobile devices. Your video avatar will be showing up on mobile devices as your website visitors browse on the go. The avatars are displayed fully responsive on IOS & Android. Will I have to pay for hosting to use Web Presenter? Not at all. When you order our done for you service, you will have exclusive access to extremely fast Google cloud hosting. 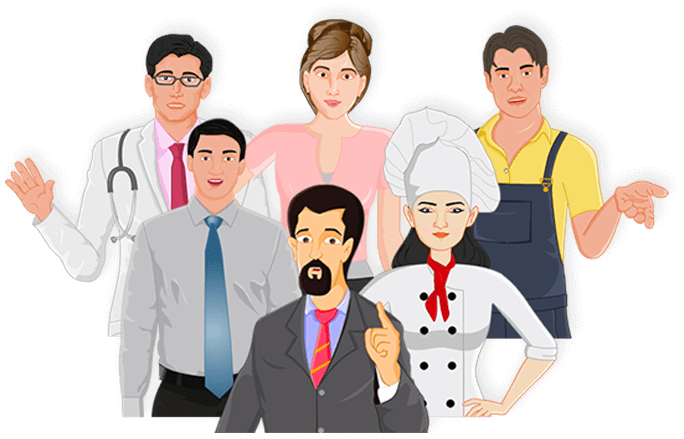 The hosting is for all video avatars created by you. Google cloud hosting means you won’t need to worry about buffering ever. Super fast loading times. Faster load times make people stay on your website longer. 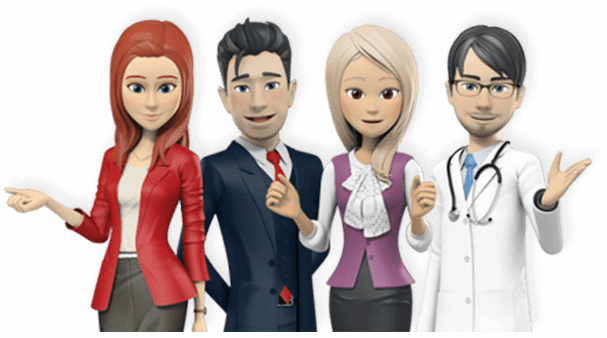 This makes your avatar more effective, helping you to bring in sales conversions and boost engagement. Is Web Presenter functional in all countries? We provide you with access to over 24 languages. You can set your avatar’s voice and accent and they will speak in any language. All it takes is a few simple mouse clicks. I don’t have a website. How can I use this? This feature blows the competition out of the water! You don’t need a website to use Web Presenter. You can use links to activate the video avatar on someone else’s content and website! Our live link technology means you can promote sales offers and services on any website. Leverage content marketing by promoting your offers across the web. I want to use this but I don’t have enough website traffic? Not a problem at all. We can help provide full training on how you can increase your website traffic when you purchase Web Presenter. Alternatively, we can recommend you the best drivers of traffic in business. Working in marketing for over 10 years and I’ve never seen anything like this. Huge spikes in sales and a much lower bounce rate. It changed my bottom line for good. Web presenters works best when used for buyer intent. Want better audience engagement but don't know how? We got the solution! Questions? Chat with our dedicated support team today. All trademarks, product names, company name, publisher name and their respective logos cited herein are the property of their respective owners and no partnership, connection or endorsement is intended ﻿or﻿ implied. Our cloud based multimedia software allows for you to stand out in a crowded marketplace. Contact us for more information on how we can help you attain more sales and better audience engagement.